Although there are both free and paid options, it’s important that you find a tool that allows you to sort and classify duplicate files prior to deletion. This is safeguard, so that you don’t end up deleting files unintentionally. Remember: Using a tool to automate any deletion process will remove some control from you. This can increase the risk that you may delete files that you later realize are important. Keep this in mind as you select the tool that’s best for you. 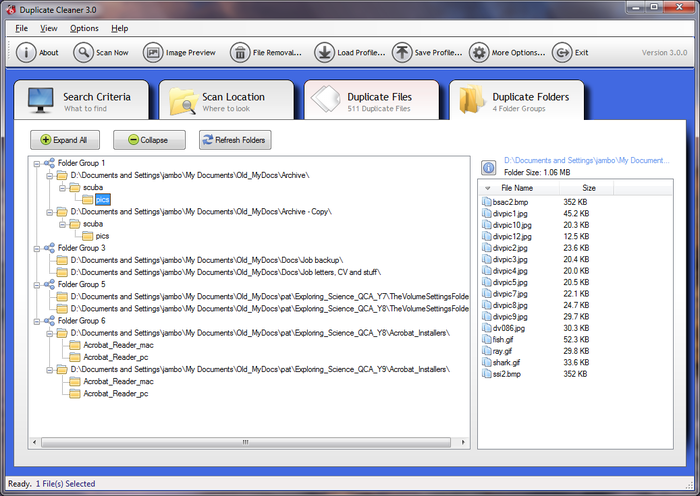 The Duplicate Cleaner Free Tool has both a free and paid version. Both versions offer a straightforward interface with an easy to follow step-by-step removal process. 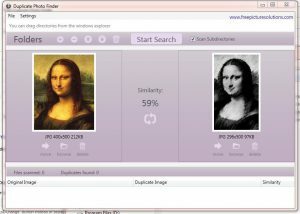 The tool can scan any external drives hooked to your computer for duplicate files. For most people, the free version will find and remove duplicate files with ease. The paid version can dig deeper in your hard drive and identify music and image files that are similar and accurately determine if the files are duplicates. As a bonus, the developers (DigitalVolcano) haven’t added any surprise toolbars, other software, or bloatware to the free download. Duplicate or very similar pictures can take up a significant amount of space on your hard drive. Sorting through them manually can be very time-consuming, but luckily, there are several options to help locate duplicate images. Download the Free Duplicate Photo Finder. 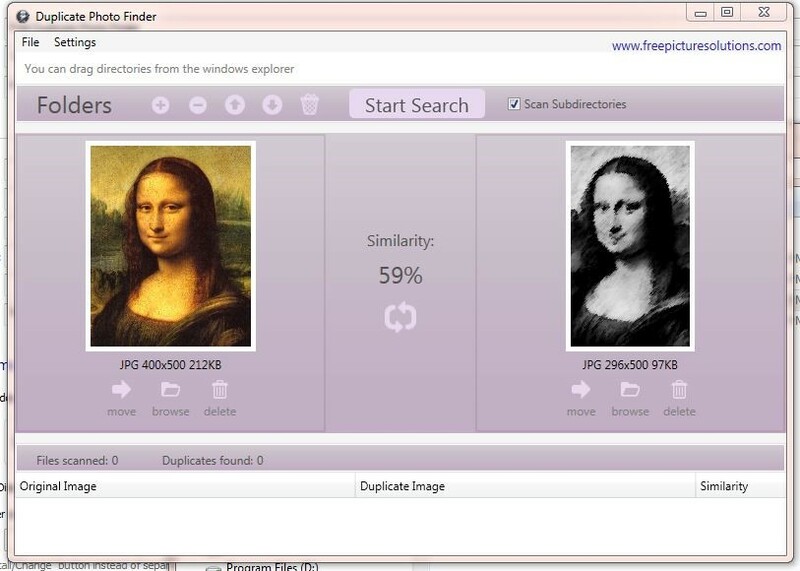 This software scans your images and displays files that have a high percentage of similarity. This tool allows you to quickly decide whether to keep or delete the similar images. In addition, you can browse or move similar images to help organize files on your PC. Removing duplicate files is worth your time and attention. Without the added clutter and file hoarding, your computer will run faster and more efficiently. We’ve highlighted two of many programs available for download to make this process as painless as possible. While there are other suitable programs, beware of freeware that comes with additional unnecessary toolbars and programs. If you need help recovering files, Secure Data Recovery Services is here to help! Get started by filling out our online help form today.